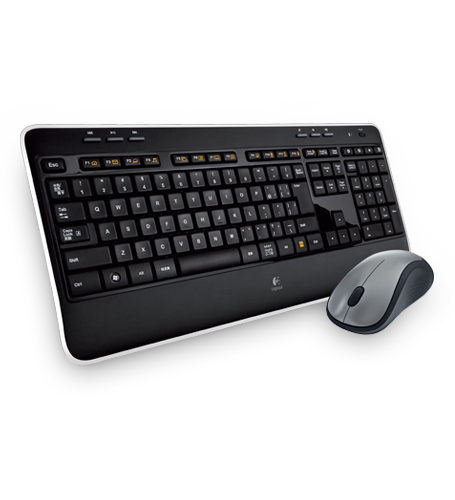 Here it is, the MK520 logitech keyboard! So after a late night of frustration trying to work up a CENTOS 6 installation with JBOSS in Virtual Box I realised that a Mac Keyboard being used in a Linux OS via Windows 7 really wasn't working. I had been trying to get an example instance set up of the Virtual Private Server that I am going to use to host my project application on but the keyboard mappings for Mac keyboards were appalling. 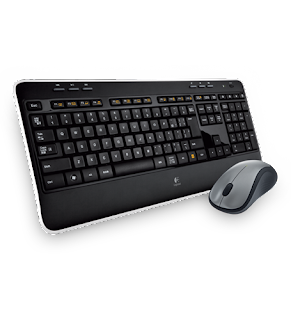 I decided to go down to PC WORLD this morning and hunt for a keyboard that I could comfortably code on late into the night and would map smoothly onto the Linux operating system and my current setup. After playing around with various keyboards I settled on the MK520 which is pictured below, after 5 hours coding I'd definitely recommend it! As for the project, I've been working up the project idea in the course forums and it seems to be going well. Without going into too much detail at the moment I am working on an idea for a Java based web application for a corporate service. I've registered my domain name and started to work up my ideas, I'll be keeping a separate project blog but will try to incorporate some of the information as I progress into this blog so that those of you who are interested, or future TM470 students can get an idea of whats involved. As an overview of what the course has gone like so far (its not even started formally!) once I got around to being able to access the web forums there are two major forums, a project choice forum and a general discussion forum. The project choice forum is a place for all students to post ideas and contribute comments to each others ideas, providing feedback and suggestions where appropriate. For those people who are yet to identify a project, students have been posting the courses that they have previously studied and topic areas with other students trying to help provide suggestions. The course team are also very active posting responses to project ideas and help to try and focus ideas where they are too broad, or widen ideas that are far too focused. The general discussion forum is there to provide a place for discussions around other topics such as "which IDE should I use?". So far we have had to submit a tutor assignment form, where you list the courses that you have studied in the past or are currently studying and rank the two topics that you wish to base your project upon in priority order. For me this is M362 Concurrent and Distributed Systems and M359 Relational Database Theory and Practice. I am expecting to be allocated to a tutor towards the end of the month and will post anything else of relevance that comes up as the course continues. I heard that MK520 logitech keyboard is awesome. Aside from its elegant hardware design, one thing that I like about this keyboard is that its keypads are so soft. You don't have to worry about carpal tunnel syndrome.